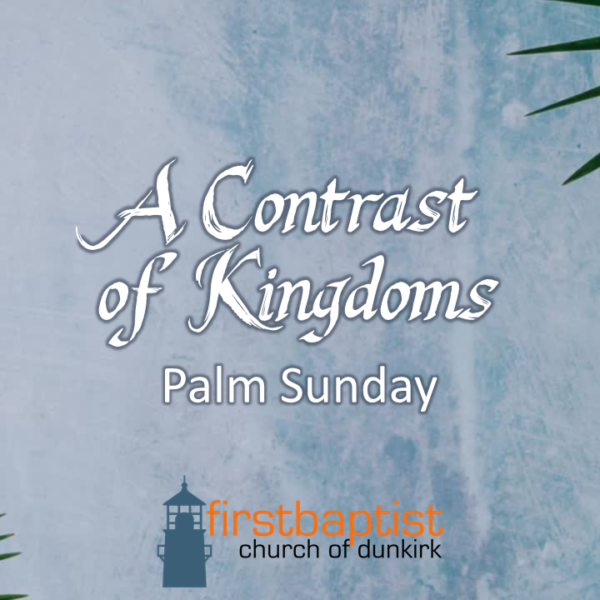 In case the decorations, the music and the Scripture readings failed to make an impression on you, today is Palm Sunday and we traditionally celebrate and remember Jesus Christ’s triumphal entry into Jerusalem. We know this day was truly important in the life of Christ because it is one of the few events recorded in all four Gospels. This morning I would like to combine all of the details of each of the Gospel accounts into one narrative. Jesus had been to Jerusalem, the capital and royal city of Israel, many times before, but what made this particular day significant was the way He entered the city, the way the people responded, and what He said and did. Just in case there was any confusion about who He was or what He was doing, Jesus Christ was now publicly claiming to be the promised Messiah and King of Israel. This was a big day and it deserves our celebration and our attention. It also marks the beginning of Jesus final week before His crucifixion. Everything He said and did was leading to the cross. The difficulty of this proclamation was in understanding what it meant. If He was the King of Israel and the Promised Messiah, why wasn’t He claiming the throne? Which Kingdom do you claim? Are you focused on your earthly kingdom where it’s all about you, or have you welcomed Jesus Christ to His rightful place as King of your life? If you’ve never trusted Him as your Savior that means confessing your sin and your attempts at running your own life, believing that His death on the cross paid your debt, that His resurrection proved He is the source of eternal life, and inviting Him to be your Lord and King. Believers, who is seated on the throne of your life? Are you trying to run things your way? Are you still trying to figure things out on your own? Are you wondering why your relationships have failed or are not what you hoped they would be? Confess today that you have not yielded your life to Jesus Christ. That you have not made your life focus about worshipping Him; but instead it’s about pleasing yourself.